Why, yes- Monroe has allergies. For those of you who thought that demigods were invincible. 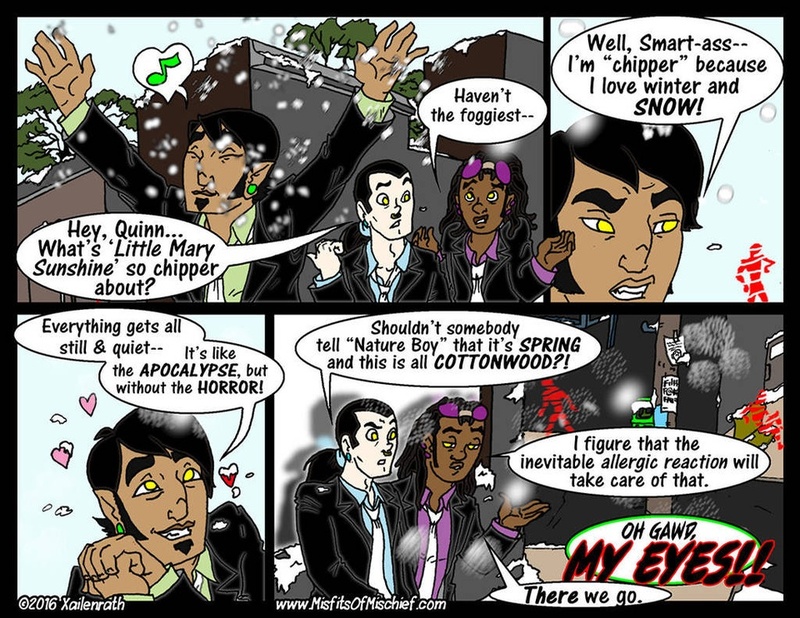 He does love the snow, though, sometimes, he’s not the most observant of guys, sometimes.